Monitoring your business from your office, from your home, or even from your smartphone is an easy and effective way to avoid problems and enhance the security of your business. We offer a variety of cameras from fixed view, tilt, pan zoom cameras, and even hidden cameras. Whether you need to monitor your business for outside intruders or keep tabs on internal employees and resources, we have what you need. With today’s IP technology cameras can be deployed almost anywhere and viewed wherever you may be. In addition, you can receive alerts, search video by date, location, and more. Seeing real time video is useful but many times you will want to look back on videos from days, weeks, or even months ago. 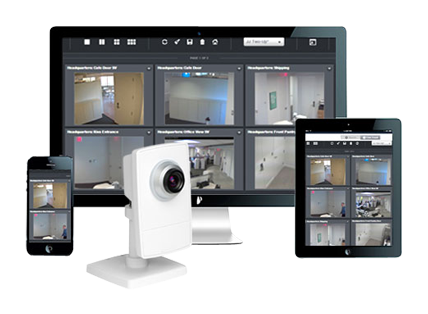 All of your cameras can have the ability to record and archive activities. This is only limited by storage space so archives can go back as long as you like. Motion activation allows you to only record when something is going on. We offer cameras for almost any environment. 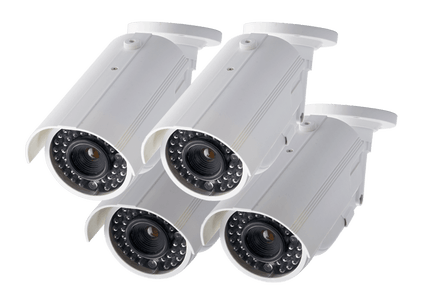 Outdoor cameras can withstand rain and extreme temperatures. For areas of low light, or areas to be monitored at night infrared cameras can still capture quality video. You also have options for vandal resistant cameras to help prevent intentional disabling of your security.